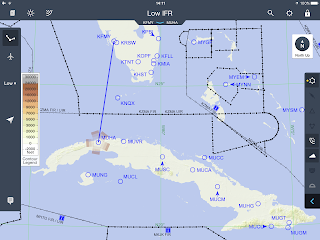 This past August saw an important landmark in aviation history with the first scheduled commercial flight between the US and Cuba taking place in nearly fifty years. On August 31st, a JetBlue Airbus flew from Ft Lauderdale to Santa Clara, Cuba with 150 passengers, journalists, and dignitaries. JetBlue is one of six US airlines which won approval to fly direct routes from the US to Cuba. As historic as that occasion was, an equally historic flight took place earlier in 2015. Scooping the first scheduled commercial flight by over a year, was the first flight of a private civilian aircraft to Cuba from the US. 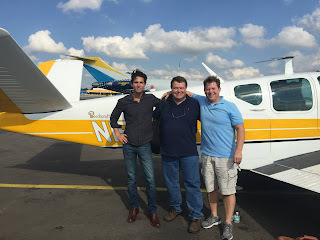 On January 15 of last year former Air Force C-130 pilot and businessman Brian Hall flew his Beech Bonanza from Fort Myers, Florida to Havana. Flying under the rules of Part 91, Hall's flight was the first flight of this type in over fifty years. Hall is hoping to start a new ferry service called CubaKat between Florida and Cuba. He flew to Havana to discuss business details with his Cuban employees and government officials. He might be considered a serial entrepreneur as he is currently the CEO of a marine engineering company and has had a hand in starting or running everything from ferry services to an airline to an energy services company and consultant services. While travel to Cuba for tourism is still not permitted under current rules, other reasons for travel such as cultural exchange are permitted. In addition to his proposed ferry service, Hall also spoke to Cuban officials during his visit about starting airline service between cities in Cuba itself. 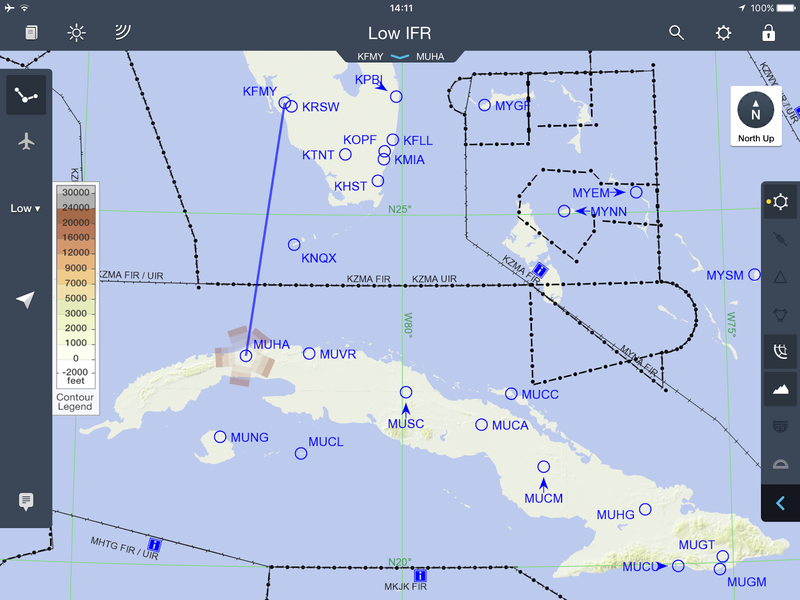 There is apparently a need for intra-island air transportation and Hall seems to be in the right place at the right time to capitalize on business opportunities in Cuba. He is proposing to start service using Cessna Caravans to deliver passengers and cargo. Well as it turns out, Hall was a student pilot in my flight at the 98th Flying Training Squadron at Williams AFB in Phoenix, Az, nearly thirty years ago. The 98th trained students to fly the T-37 primary jet trainer while on their way to become Air Force pilots. After graduation from undergraduate pilot training, Hall went on to pilot C-130 Hurricane Hunter aircraft before leaving the service to start his career as a businessman. I was able to catch up with him about a week ago and ask him how his path led him to make history flying a single engine aircraft to Cuba. He told me that his fascination with Cuba came from his grandparents who had often vacationed on the island. They would tell stories of their travels which captivated him. Many years later, he was able to arrange a retreat to Cuba for some family members and from that point on was hooked. He has since been back to Cuba many times on cultural exchange trips, though always having to travel by chartered aircraft. In December of 2014, President Obama announced a restoration of full relations with Cuba thus ending decades of stalemate and embargo with the island nation. Hall knew that this was his opportunity to get in on the ground floor with the establishment of ferry service between Cuba and Florida. His CubaKat venture, which will use large catamaran ferries carrying up to 200 passengers, is still awaiting final government approval to begin operations. In the meantime, Hall saw an opportunity to make a historical flight. He actually owns two aircraft, a single engine Bonanza and a twin engine Baron. And while the general rule for overwater flying is that more engines are better, Hall said he had insurance problems with taking the Baron to Cuba. As a result, he had to take his single engine 1953 Bonanza for the 217 mile journey to Havana. While many pilots fly single engine aircraft to the Caribbean islands, Hall said that the one concession he made was to wear his life vest rather than to just have it available. The last thing a pilot wants to be doing if forced to ditch in a small aircraft, is to simultaneously fly the plane and make a distress call while figuring out how to don a life vest. While planning for his flight, he did contact the US Immigration and Customs service who for some bureaucratic reason or another informed him that he couldn't make the flight as he had planned. It had something to do with Miami being the only approved airport for flights from Cuba. Being steeped in the culture of entrepreneurial risk taking, he found that it was in fact easier to beg forgiveness than to ask permission and had no trouble upon his return to the states. Hall told me that the actual mechanics of flying to Cuba were rather routine. The Cuban controllers were all perfectly gracious, spoke good English and his flight to Havana was uneventful. It was upon arrival that he realized that Cuba has a ways to go as far as aviation infrastructure is concerned. Routine expectations such as tie-downs and chocks, available at most US airports, were notably lacking. They also didn't have fuel, which might have been a problem had he not had the foresight to carry enough fuel for a round trip. Since his first trip, Hall has been back to Cuba in his own plane three times. He says that the lack of overall infrastructure to handle the tsunami of Americans expecting to visit the island will be a brake on the tourism industry once the tourism ban is eventually lifted. Hall told me that one of his employees requested that he bring a toilet seat along on his next visit. It took two visits as the first one he brought was oval when a circular one was required. Hall also mentioned that travellers to Cuba should not forget to bring enough cash to cover their expenses while visiting as there are almost no ATMs on the island. The Cubans, for their part, seem to be catching on that there is money coming along with their new island visitors. On one of his latest trips, a new $40 departure tax was levied which hadn't been mentioned or collected before. Of course you must pay if you wish to take off. Even though the regulatory hurdles Hall faces to get his CubaKat venture going can be a real headache, he doesn't plan on quitting the island anytime soon. He's there to stay in one fashion or another. His motto is that if a businessman isn't earning, then he's learning. And Brian Hall, Air Force pilot turned entrepreneur turned Cuba evangelist seems to have enough passion and energy to do plenty of both.